One in every 33 children are born with a birth defect each year. Birth defects are caused by adverse changes to a fetus's genes while it is still developing in its mother's womb. This can create improper growth and development of the eyes, heart, and nervous system, to name a few. 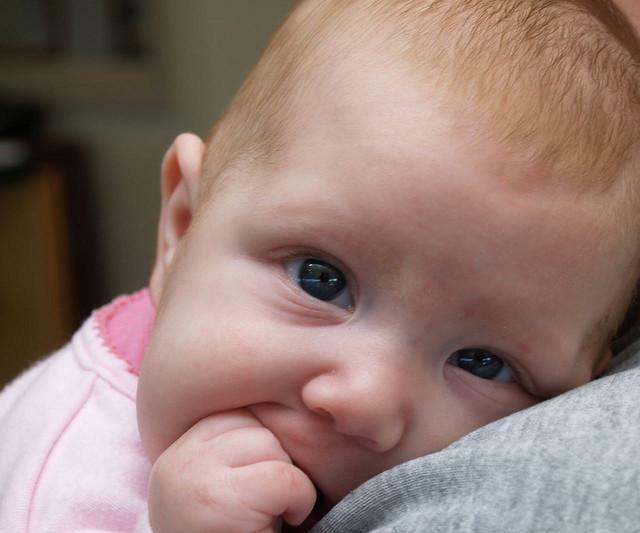 These gene changes account for 20 percent of infant deaths. A new study, published today in PLOS ONE, has found that the genes involved in birth defects may lead to mental illnesses like schizophrenia, autism, and bipolar disorder. Benjamin Cheyette, M.D., Ph.D., and a group of University of California in San Francisco researchers found that mice with mutations in a gene called Dact1 are born with a range of severe malformations, including some similar to spina bifida, a defect based in the nervous system, in humans. The researchers looked at mice with deleted Dact1 genes to see if the gene responsible for a birth defect could alter development enough to create a mental illness. "When you delete this gene function after initial, early development — just eliminating it in neurons after they've formed — they migrate to the right place and their numbers are correct, but their morphology is a little off and that's very much in line with the kinds of pathology that people have been able to identify in psychiatric illness," Cheyette said. "Neurological illnesses tend to be focal, with lesions that you can identify or pathology you can see on an imaging study. Psychiatric illnesses? Not so much. The differences are really subtle and hard to see." Cheyette's comment indicates a very important piece of information about development. The gene Dact1 is highly important for proper development of the brain. With a defect, or issue, in the gene, birth defects like spina bifida or other physical abnormalities occur. However, the effects don't end there. Due to improper development, the mice with their Dact1 genes turned off did not form the normal amount of neuronal connections in their brains. Similarly, their neurons did not grow and branch out normally either. Without the Dact1 gene, brains cannot develop or grow normally. As a result, symptoms characteristic of mental illness begin to develop, as well as the original defects that occur. These symptoms include anxiety, abnormal sociability, and lack of motivation, which are likely due to the alteration in brain development caused by brain defects. Mental illnesses often stem from changes to the brain, very similar to the changes that happen during development of a birth defect. Many birth defects can be prevented by new mothers within the first three months of pregnancy, as defects occur mostly in the first trimester of pregnancy. The Centers for Disease Control and Prevention urge mothers to stay away from drugs, smoking, and alcohol, to ensure they are healthy enough to have children, to take recommended dietary supplements, like folic acid and vitamin C. and to get off of certain medications linked to birth defects, like isotrentinoin. It is clear from this study that genes that play roles early in development can also have effects later in life.